An overview of C&M Scientific accreditations and their certificates. We pride ourselves on providing the highest standard of laboratory: maintenance, repair, calibration and validation. These industry standard certificates exemplifies our commitment to providing the very best to our scientific clients. C&M Scientific’s core quality system is based around this ISO standard Previously ISO 9001:2008 C&M Scientific have moved seamlessly to the latest standard. 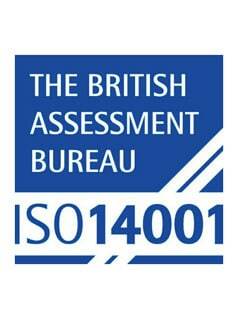 ISO 14001:2015 C&M Scientific Ltd take our environmental responsibilities seriously and have procedures in place for the safe disposal of all the waste material generated as part of operations. We are certified by UKAS: laboratory number 8380. In a commitment to calibration and metrology, C&M Scientific Ltd have accreditation for the calibration of temperature rotational speed and time. With comprehensive training and independent accreditation we provide leading-edge calibration to meet the requirements of today’s quality industries. C&M Scientific Ltd have in place systems governing Health and Safety in the work place. All companies carrying out work involving refrigerant gases are require to be registered under the EC Regulations 517/2014 C&M Scientific Ltd train all refrigeration engineers in the requirements to meet the current regulations.